This statement is an outrageous slander against a young woman who’s spent her entire adult life serving this country, right up to the day she was arrested. And it makes no sense. What does it mean to say that Reality “hates America,” and why is it important to the prosecution that the public believes this? The real reason is the text of the Espionage Act. The 100-year-old law has been used since its passage as a loophole to deny Americans their rights to a free press, free speech, and whistleblower protections. The Espionage Act doesn’t mention “classified information” at all. The notion of “classified information” didn’t even exist when the law was written. The law is intended to punish people who transmit information with an intent to harm the United States or aid its enemies. The document Reality is charged with releasing contains information about threats to our election integrity, which is still being covered up by the government. Voters and election officials have a right to know about these threats so they can take action to fix them. Having this information in the open is critically important, and the idea that releasing it “harmed America” is so absurd it’s barely worth dignifying with a response. The idea is so absurd that Reality’s prosecutors are doing everything they can to avoid having to argue for it, because they would absolutely lose. Instead, they’re trying to put Reality’s politics on trial. The government’s circular reasoning works like this: That the document was classified is reason enough to say that releasing it harmed America. We can’t talk about what “harm” the government was trying to prevent by classifying it, because it’s classified. And if the contents of the document were the motivation for releasing it, that can’t be discussed in court, because it would reveal classified information, which would harm America. Whistleblower protections for people reporting wrongdoing have existed in law long before either the Espionage Act or the idea of a “classified document.” But the strategy the prosecution is pursuing allows them to prevent Reality from even arguing that she deserves those protections. And while they shut down any discussion of the document itself, they’re trying to make this case about Reality’s politics: because she’s outspoken about America’s problems, she must hate America. Since she hates America, she must have meant to harm America by releasing the document. Ergo, she’s guilty under the Espionage act. But that still begs the question — what do they mean when they say Reality “hates America”? Does Reality “hate” America, or want it to be better? This is obviously a joke. Reality’s writing is full of this kind of irreverent humor. Reality’s work for both the Air Force and NSA involved constantly making judgement calls with life or death consequences, and it shouldn’t surprise anyone that she would blow off steam like this. It’s also obvious that the judge’s assertion isn’t really about this or any other specific exchange. The judge and the prosecution’s real problem with Reality is that she has strong, outspoken opinions about things like racism and climate change, and she is very critical of the President, and they see an opportunity to use her constitutionally-protected speech against her. Those who raise their voice in protest against America’s misdeeds are regularly attacked, ignored, or painted as “hating America,” especially if they’re women and/or people of color. Look no further than the NFL players kneeling for the national anthem. A protest against police brutality, an issue Reality is also passionate about, has been turned into an argument about “disrespecting flag and country” in order to make the original content of the protest disappear. In this way of thinking, to want America to be better is to hate it. To spend your entire adult life working hard and making sacrifices for America is to hate it. To be so outraged by a threat to America that you’d risk your career and your freedom to stop it is to hate it. This is complete nonsense, just like the prosecution’s assertion that a document that’s been available to the public for months should still be treated as “classified.” These are cynical tactics the government is using to avoid confronting the real issue — there is an ongoing cover-up of a severe threat to U.S. election security, and releasing this document was an act of whistleblowing. We demand the NSA report on Russian election hacking be declassified, and that the prosecution actually prove that harm was done by releasing it. That they’re relying on cheap, meaningless assertions like “Reality hates America” demonstrates that they can’t. Reality is a real patriot with an admirable commitment to justice. Unlike her prosecutors, she has nothing to hide. Reality’s defense team intends to not only prove her innocence, but to turn the tables on this outrageously unjust prosecution and put the Espionage Act on trial. We have the chance to force the government to honor whistleblower protections, but only if we can put up a fight. We’re up against the unlimited resources of Trump’s Justice Department, and all we have is each other. Please donate today and help us win. These despots HATE it when their illegal secrecy is revealed, and when actual FACTS undermine their opinions. It remains to be see whether the Judge is in on the despotism to try to find some means to denigrate and criminalize legitimate resentment of excessive secrecy in all government affairs. 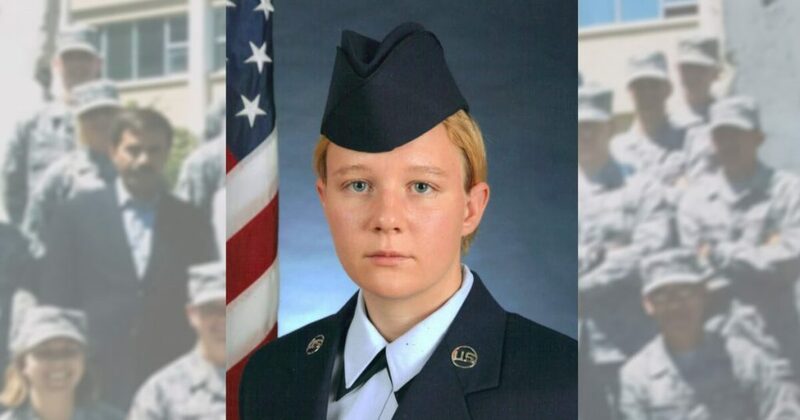 I appreciate Reality Winner’s acts on behalf of expanding public knowledge of how our government tries to deceive us by hiding the facts from our eyes. They most fear been found out by the very citizens they are charged to protect and inform! 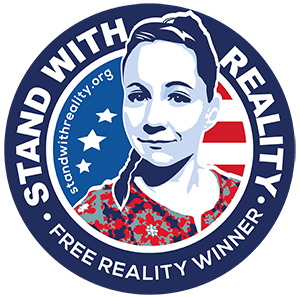 Reality Winner is a 25-year old veteran who is being charged with Espionage for mishandling one document. The DOJ is vigorously going after her even though it is questionable whether the alleged document (The Russians interfering with our VOTE) should have been classified or whether the public had the RIGHT to know. The DOJ (btw the AUSA, Jennifer Solari has now resigned from Reality’s case. And she misinformed the court (the judge) about key facts concerning the case) is viciously trying to portray Reality as an enemy of America and has fought extremely hard to keep her in jail with NO bond. The Judge has denied bond 2X – even after the AUSA admitted to the misinformation. Reality is not a flight risk. All of the courts requirements were met for her release. Her mother took early retirement and moved to meet any demand. This treatment and focus is unjust and just wrong! Reality served her country for six years with Commendations from the Air Force. She is suffering from health issues – a vegan who is food deprived and lives in a very small room with limited time outdoors. She may only receive her max of 2 hr per week visitation behind glass, basically less rights than a convicted individual in prison. We are working to try and better her living conditions and make sure she receives the nutrition her body needs. We must free her on bond. She deserves a fair trial, not to be convicted by the court of “misinformation” spread by the prosecution. Haven’t we had enough FAKE news? if you do not stand with Reality you must kneel before the unclothed emperor Drumpf… and kiss his ????? … the fake (news) American president, who we all know now, from ‘insiders’… is a MORON! REALITY WINNER IS A PATRIOT. PERIOD. THIS IS RETALIATORY HOSTILITY AND UNCONSIONABLE.